Cats are independent little creatures that can entertain themselves for hours with empty boxes or curtain tassels. However, they still thrive on the love and attention from humans. If you want to learn about their unique behavior, keeping them as pets and more, you should check out the interesting cat facts for kids and adults below. A cat or kitten is a small feline with soft fur. Their innocent eyes and whisper soft kisses helps to make them quite possibly the most enchanting animals around. In fact, cats and kittens are among the most favorite pets in the world. Did you know that they were kept originally to chase away mice and rats from homes? Indeed, history shows a lot of mysteries surrounding these animals. Cats have gone through all the emotions displayed by humans as they have been persecuted, worshipped, hated and loved over the years. But, despite all of this, a cat remains a human’s best friend. History shows that the African Wildcat had been the first feline to be domesticated around 5000 years ago. They were domesticated because the Egyptian people consumed large quantities of grain and rats were eating their produce. The cats were seen as the only solution to this problem, so everyone in Egypt started to leave out food for cats. Read on to enjoy many other fascinating facts about cats. There are more than 500 million domesticated or housetrained cats worldwide. Cats are considered one of the most popular pets in the world. More people have kittens and cats as pets than dogs and puppies. There are about 40 known breeds of cat in the world. Cats have been associated to humans for almost 10,000 years. The bodies of cats are flexible and their teeth can adapt to hunting smaller animals like rats and mice. Cats sleep for thirteen to fourteen hours daily, which is about 30% on average, to conserve energy. A young cat is called a kitten, a male cat is a tom and a female cat is a queen or molly. When in a group, cats are called a clowder. The heaviest domestic cat recorded weighs 46 pounds, 15.2 ounces (21.297 kilograms). Domestic cats normally weigh about 8 pounds, 13 ounces (4 kilograms) to 11 pounds (5 kilograms). Cats have a commanding sense of smell that is fourteen times stronger than for humans. 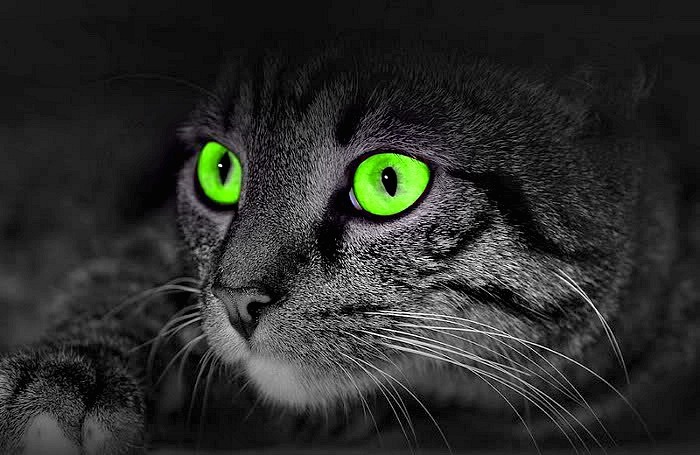 Cats’ night vision is very powerful, as they can see light at levels which are six times less than what humans need in order to see. A cat is not able to see directly beneath its nose, which is why it seems like they cannot find morsels on the floor. Most of the cats or felines have no eyelashes. A cat can be pregnant for around 58 to 65 days. Domestic cats or kittens love to play fight and chase toys. When kittens play fight they get a chance to learn and practice skills for not only fighting, but hunting. Cats spend a lot of time licking at their coats in order to keep them clean. Every kitten has blue eyes at birth, but the shade normally changes within twelve weeks after. Kittens normally open up their eyes between seven and ten days. They might even open them in two days in some cases. Feral cats are normally seen as pests as well as threats to the native animals. Cats can make about a hundred different sounds. A cat is able to jump 5 times higher than their height. Cats love to eat grass, which helps to aid with their well-being and digestion. The grass also helps to remove fur in their stomach. Cats have a brain that is very similar to humans. Ailurophilia is the term that is used when referring to the love of cats. A cat can take twenty to forty breaths in a minute. Cats are known to walk on their toes, unlike other animals. There are 4 toes on their back paw and 5 toes on their front paw. Cats can step with their two left legs and then both right legs whenever they run or walk. The camel and giraffe are the only other animals that can do this. Cats have the ability to run for as much as thirty miles per hour. The cat’s urine will gleam under black light. Cats use their tail for maintaining balance. Cats are known for falling from high places. They have a ninety percent survival rate for failing from 5 stories. There are two to six kittens in an average cat litter. A cat cannot taste sweet. A cat has more bones in their body than humans. They have 230 bones, while humans have 206. Cats have a heart beat rate of 110 – 140 per minute. Cats have 30 teeth, 10 premolars, 12 incisors, 4 molars and 4 canines. A cat can gauge the mood of humans. A cat often changes moods to match their owners. A cat’s ears, eyes and whisker can tell their mood. The hair on a cat’s body will stand up quite evenly when it’s frightened. Whenever the cat hair stands in a narrow band with the spine and tail, this indicates that it’s ready to attack. Unlike humans and dogs, the cat cannot move its jaws laterally or from side to side. They can only move their jaw upwards and downwards. A cat has what is called a haw, which is a third eye. This eye is only visible if the cat is ill or not feeling well. Cats have excellent hearing that is more sensitive than that of humans and dogs. A cat has twenty four whiskers that it uses to measure distances. Similar to the fingerprint of a human, the cat has a nose pad that is very unique because it has a ridged pattern. A cat has true fur that is both an outer coat and an undercoat. When a cat rolls over on its back or snores this means that they trust you. The tongue of a cat has small hooks and these come in really handy when they want to tear up food. Purring does not always indicate that a cat is happy because they also do it when feeling terrible pain. Cats can be very sneaky and lethal hunters. Their back paws will step almost in the exact position as their front paws when they walk, so this helps to limit visible tracks and keep noise at a minimum. There are five important nutrients that have to be included in your cat’s diet. Those are Vitamins A, D and B1, Calcium and Arginine. That’s why it’s important to use quality and balanced cat food. That doesn’t have to cost you much if you use coupons and discounts issued by manufacturers or pet food stores. Now, let’s take a look at some of the fun facts for certain cats. Calico is not a cat breed, but their fur has patches of black, orange and white that can be found in any breed. Even though most cats have a certain air of dignity and beauty to them, none compares to the calico when it comes to pure charming prettiness and eye-catching features. Sand cats, also called Sahara or sand dune cats, are slightly smaller than the pet cats. The paws of a sand cat are covered with thick fur that helps to give them protection in hot sand and prevent burns. This cat is the only kind that lives mainly in desert environments as its native to the unforgiving deserts of Southwest Asia and Africa. 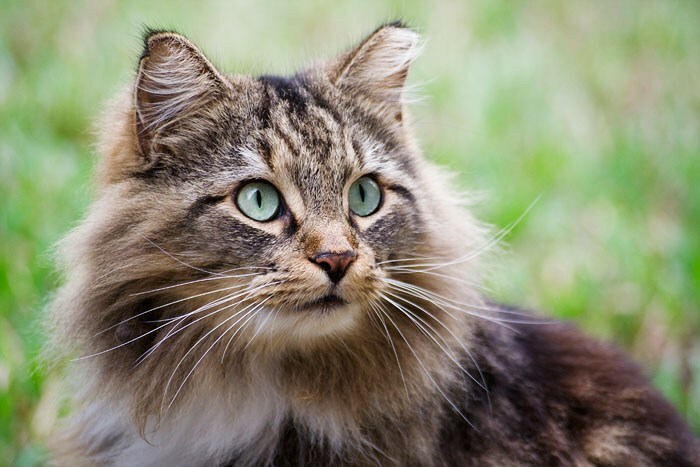 A tabby cat is not one of the cat breeds and it has a certain type of coat. This cat coat is the most common in the world. The African wildcat has the original tabby coat. In fact, the Asian/African wildcat was the first domestic cat in the world. With this type of coat, the wildcat is able to hide better because it can blend easily into the background colors of trees and grass. The Persian cats are one of the first breeds in the world and they are rated as the top cat breeds. This has remained so for more than 100 years which is why they are the most popular in the world. If one wants to describe the Persian breed of cats in a few words they could say that they are rounded, stocky and very large with a flat face, many patterns, colors and small ears. One of the reasons why the Persians remained so popular is due to their laid back personality which makes them great companions. They prefer to live in nice friendly places where they feel relaxed and safe as they love to spend time looking and lounging around. Persians are gentle and sweet with pleasant sounding voices. These are just some of the educational and interesting cat facts for kids and adults. A cat can live for around fifteen years if their owner takes good care of them by providing a healthy diet and taking them regularly to see the vet. This means that you should be well prepared to take care of all their needs before getting them as pets.